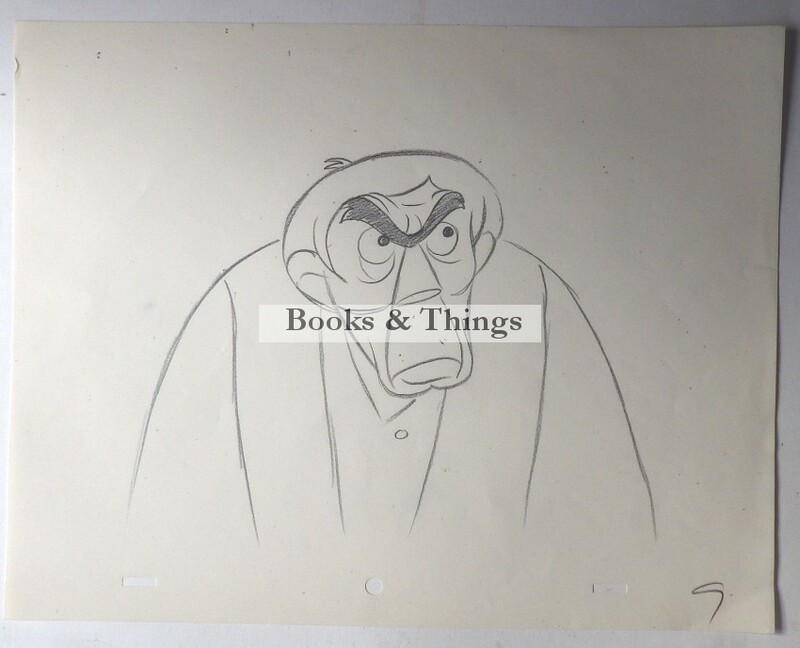 Animal Farm: Sequence pencil drawing of the farmer. 23 x 29cms. Halas & Bachelor 1954. Animal Farm was the first full length British cartoon. Crease to lower right corner. Category: Miscellaneous. Tag: Animal Farm drawing.